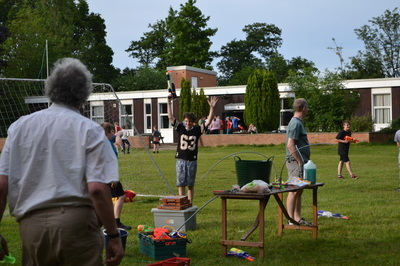 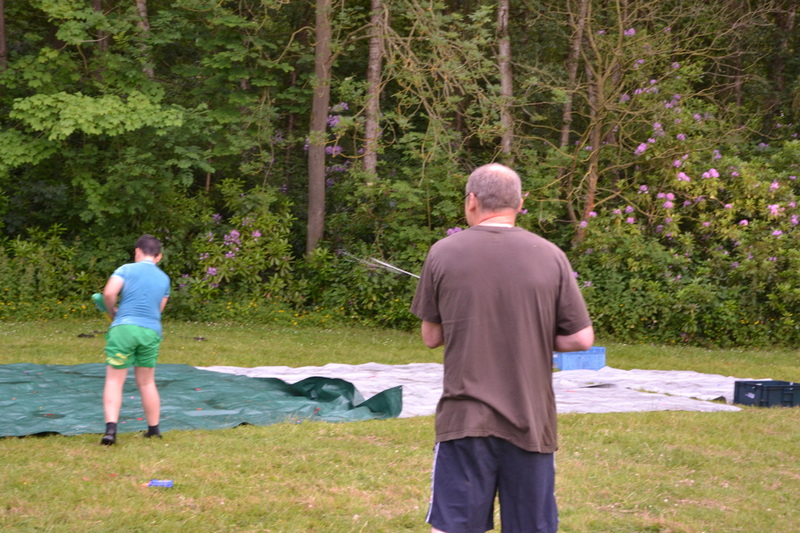 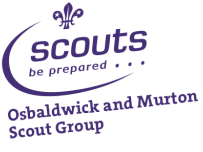 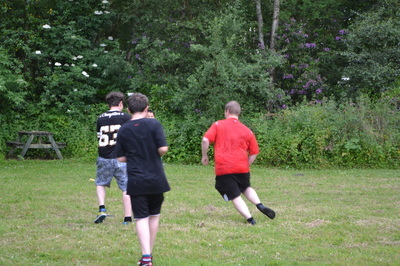 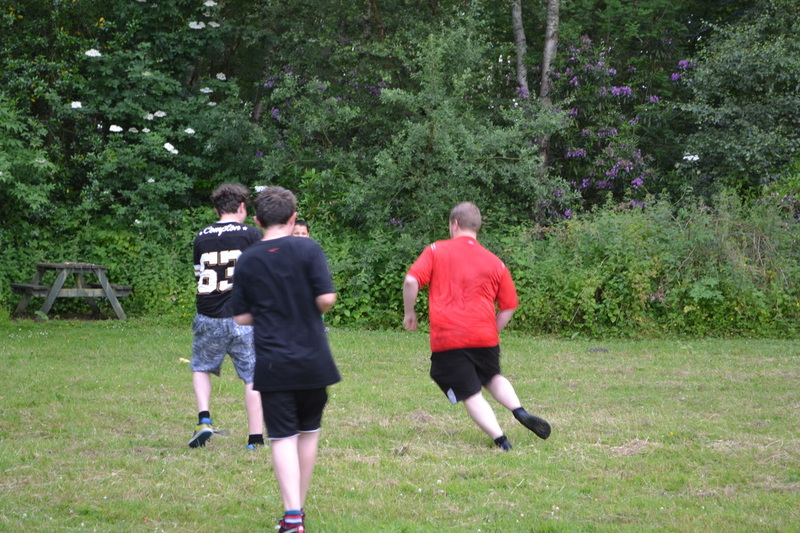 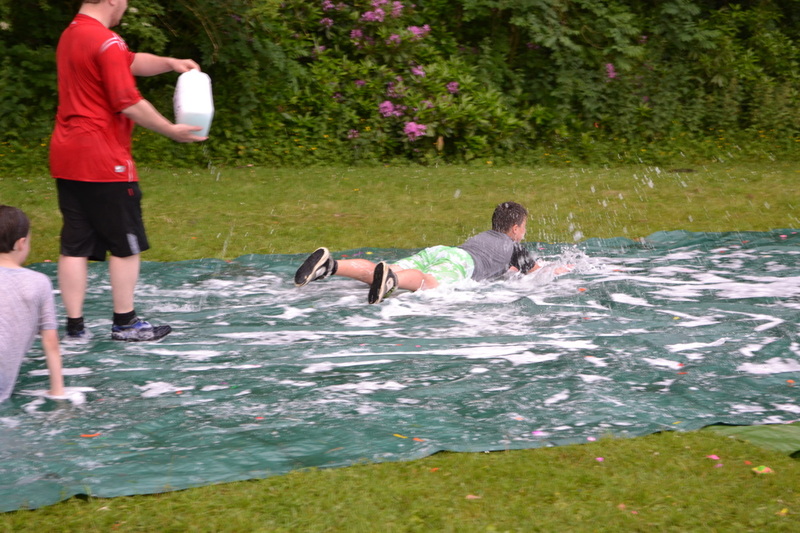 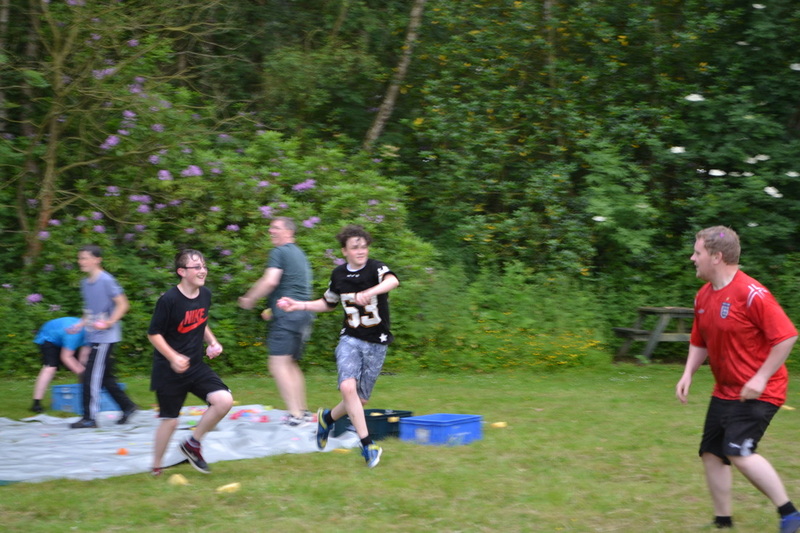 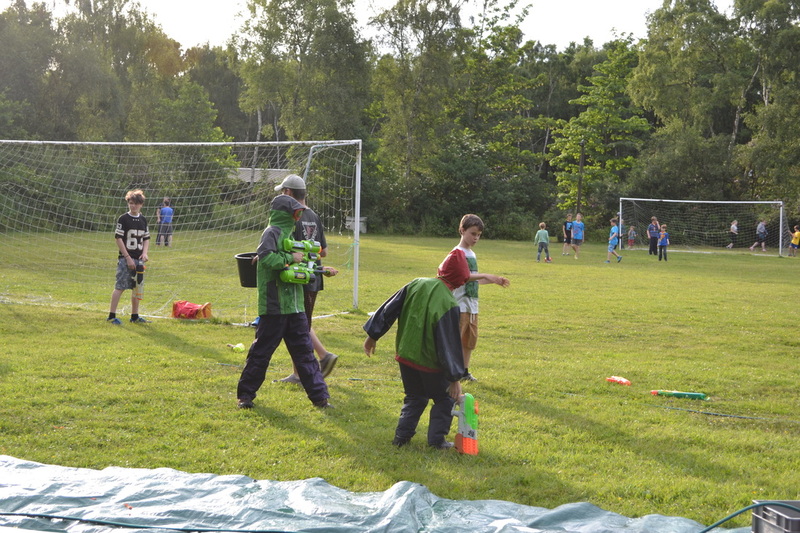 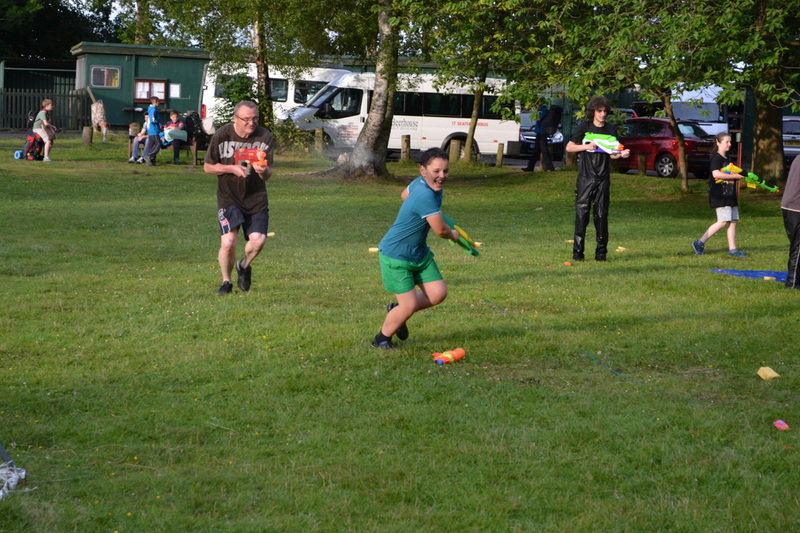 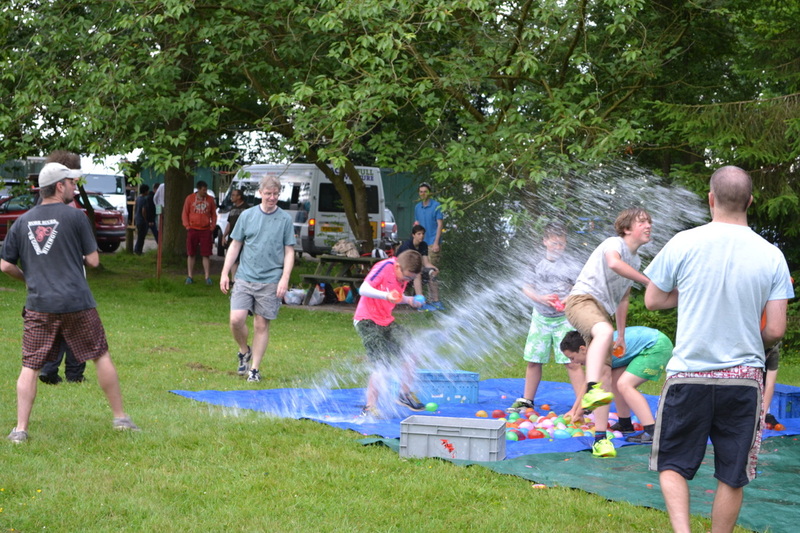 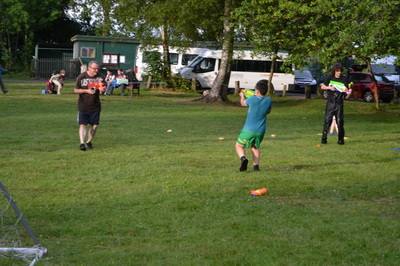 This is the 4th year we have run a water fight between Heworth scouts and Osbaldwick Scouts and it was also the best weather we have had. 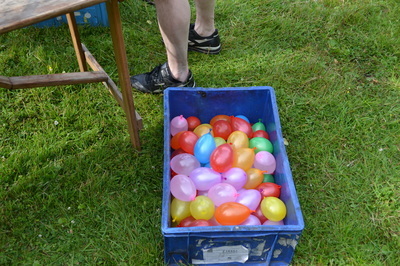 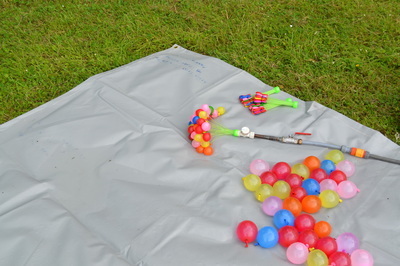 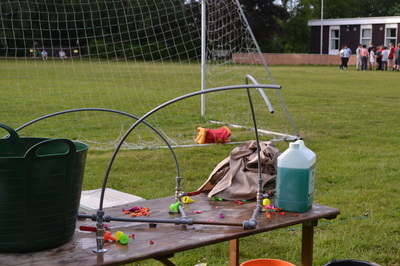 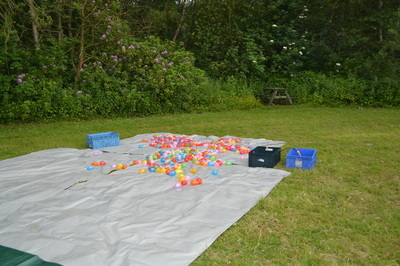 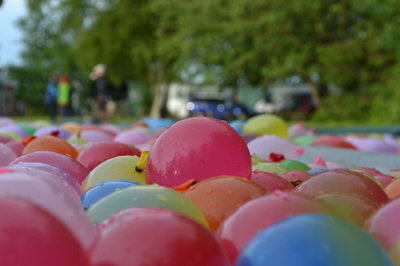 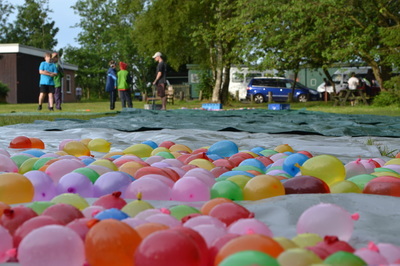 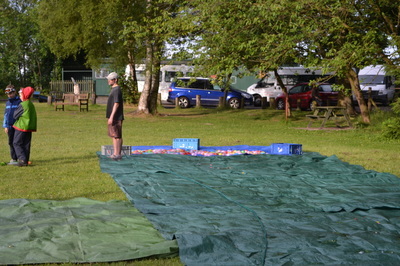 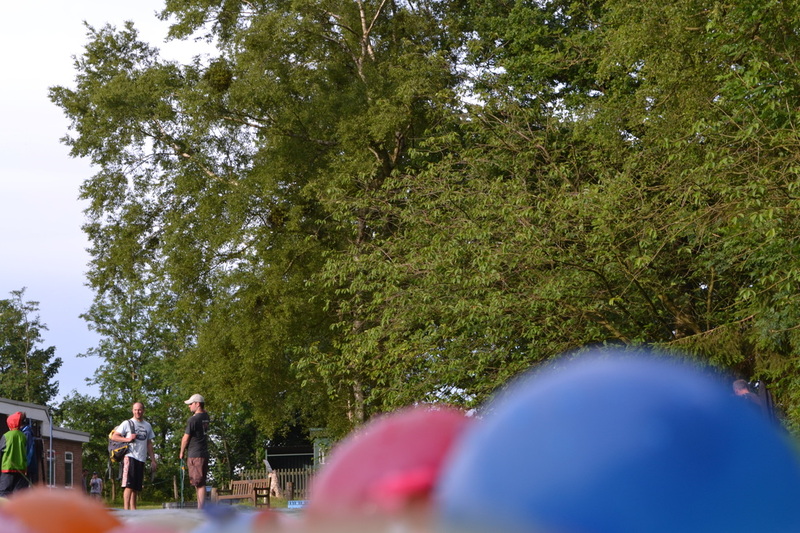 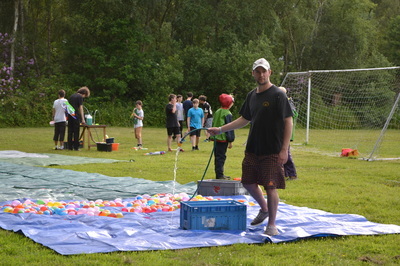 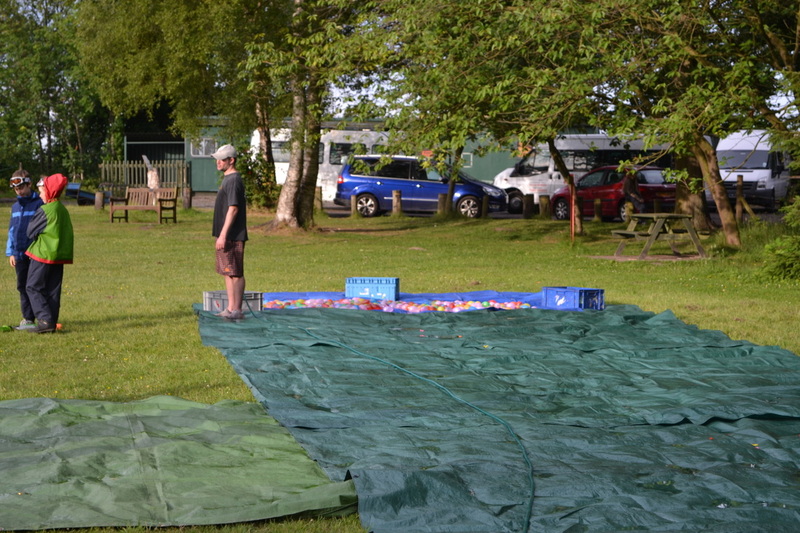 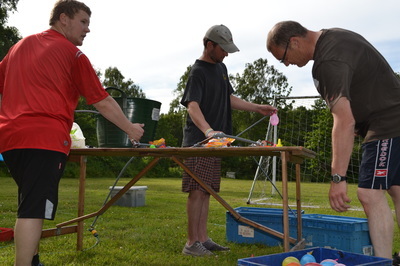 4:30pm we started filling water bombs, 900 later we were ready. 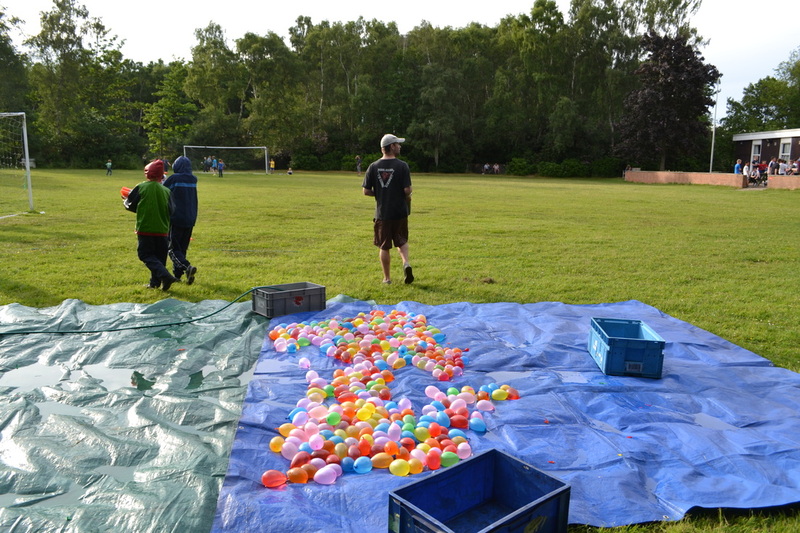 We filled 500 normally and 400 using a water bomb filler that can fill and seal 100 water bombs very quickly, even with our low water pressure. see video at bottom of page. 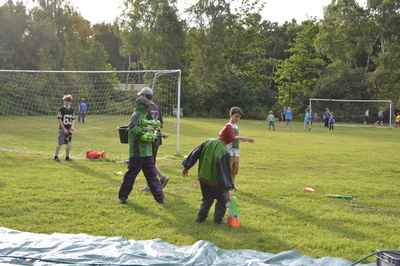 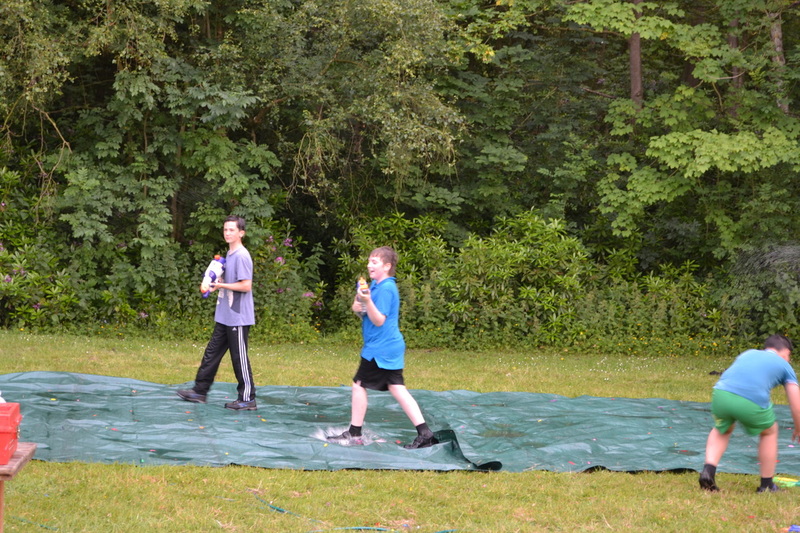 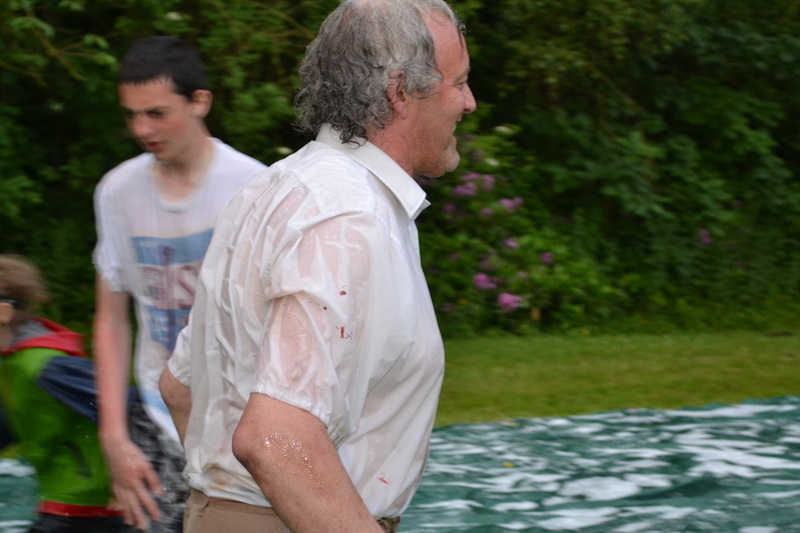 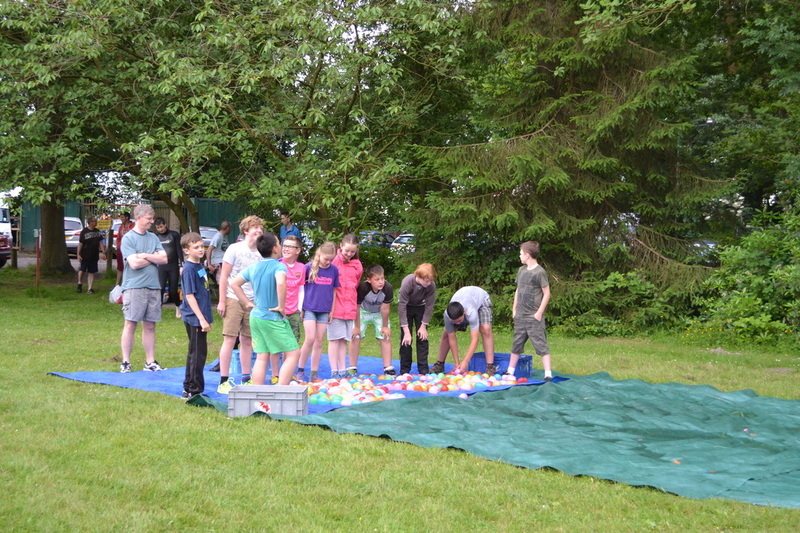 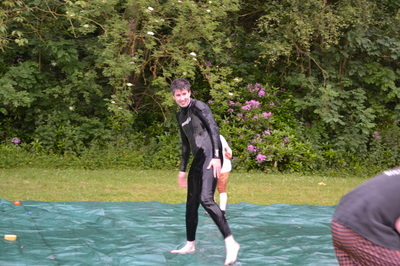 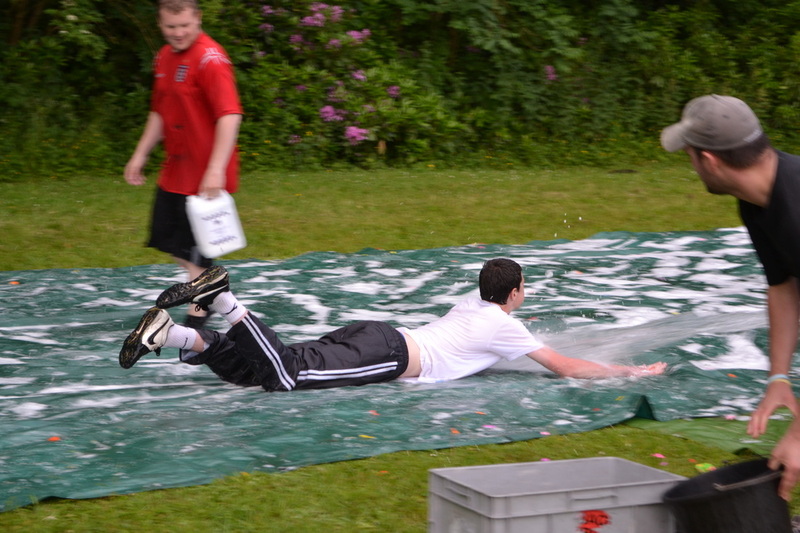 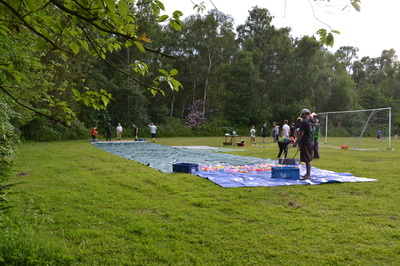 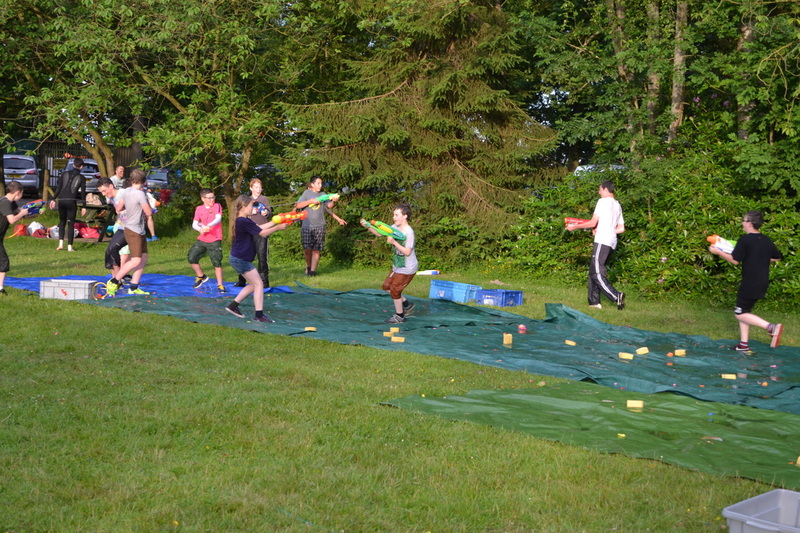 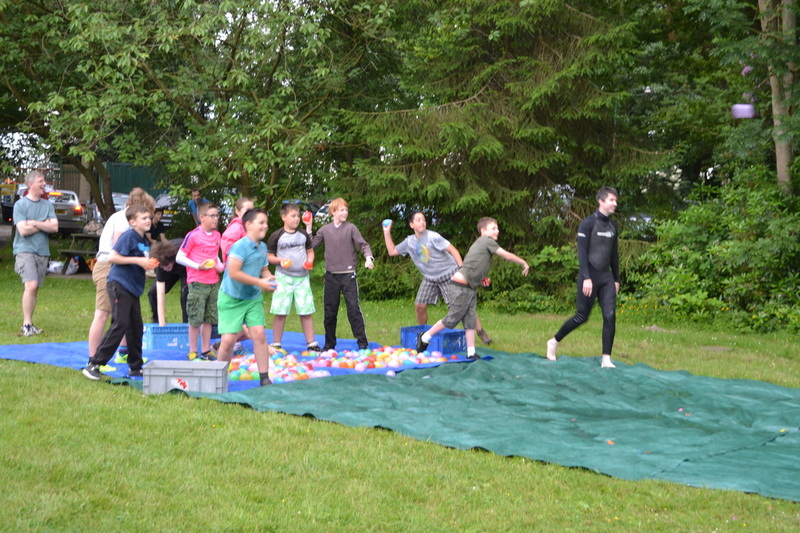 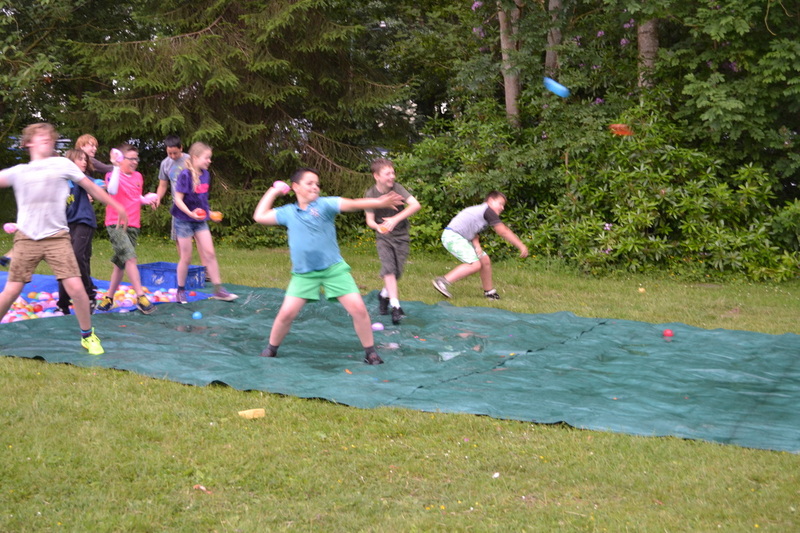 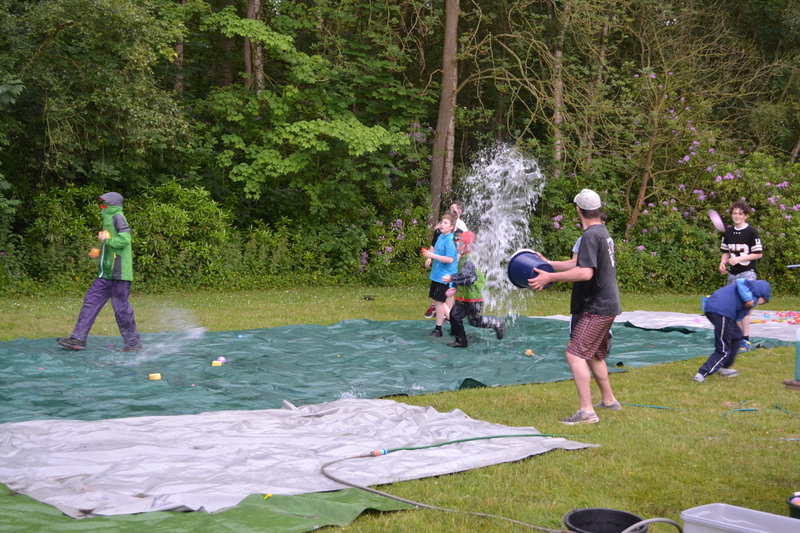 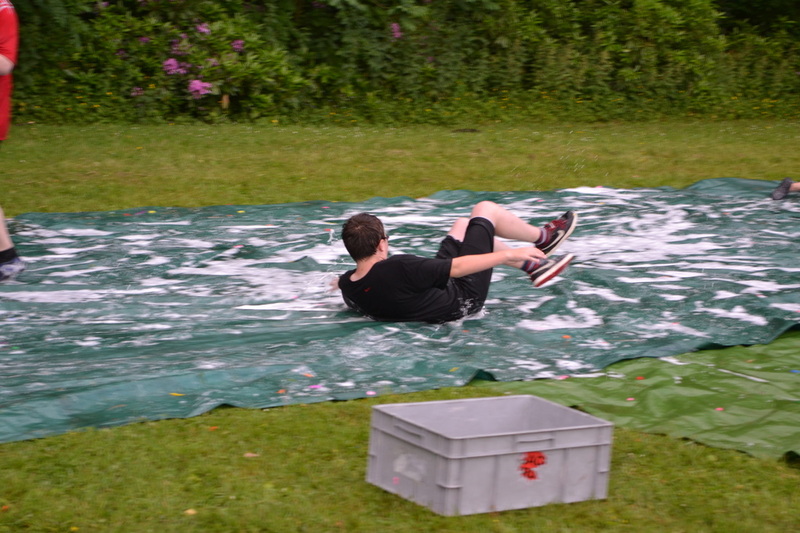 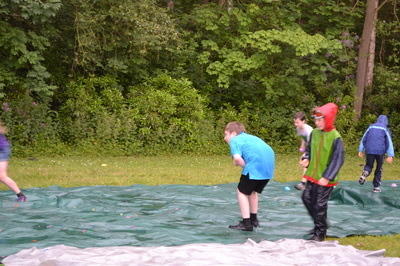 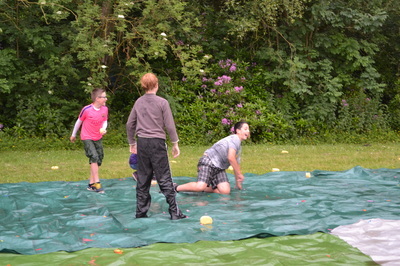 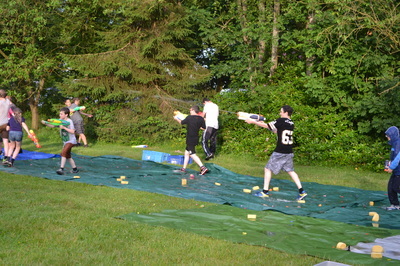 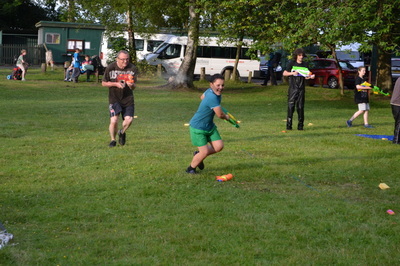 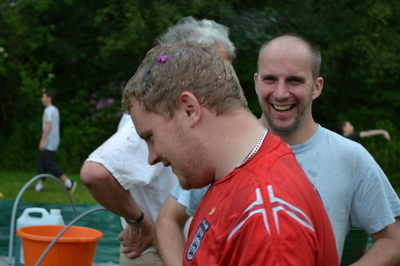 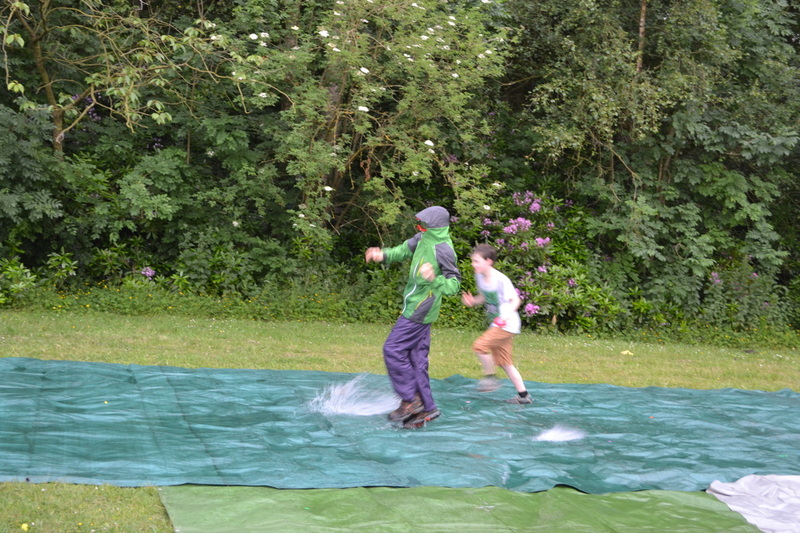 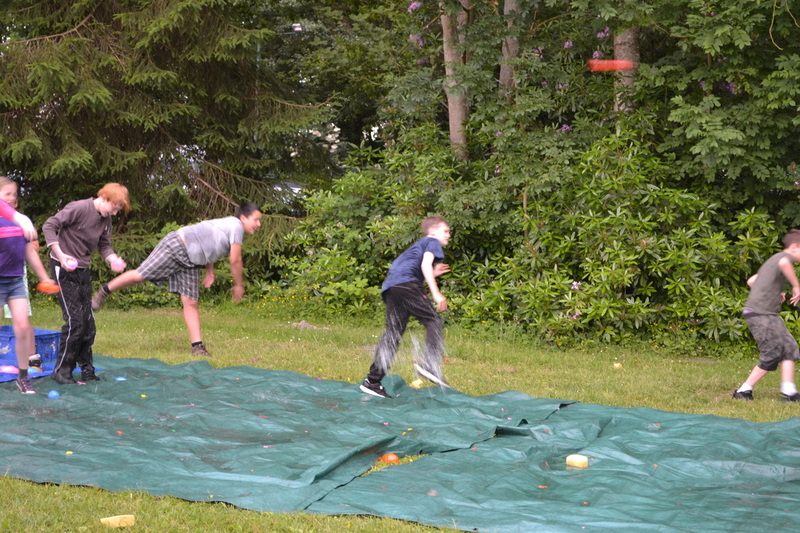 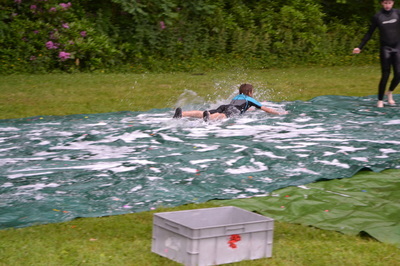 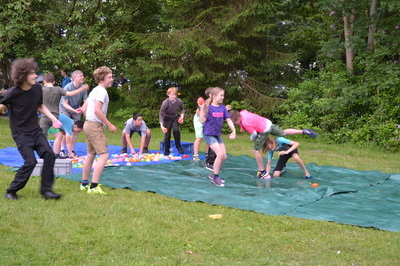 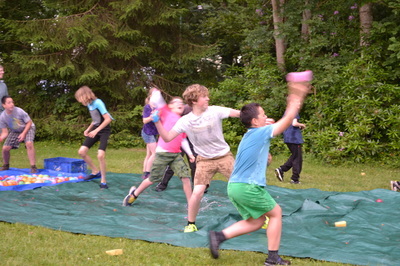 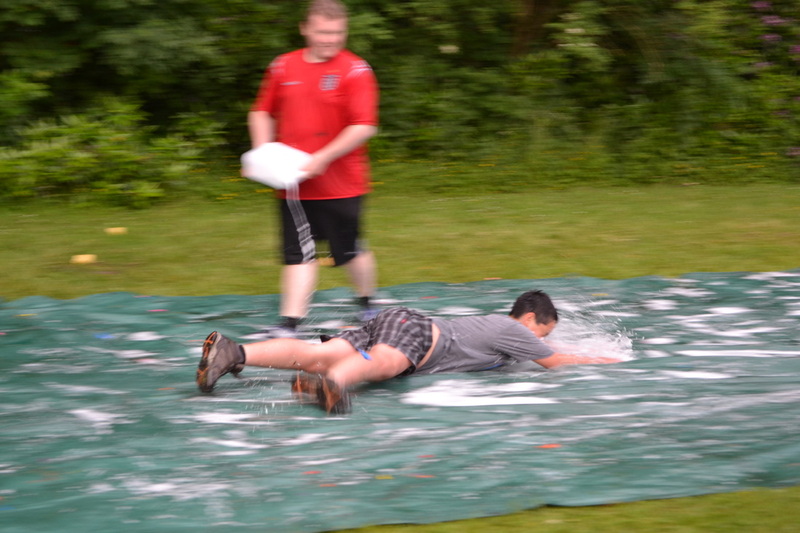 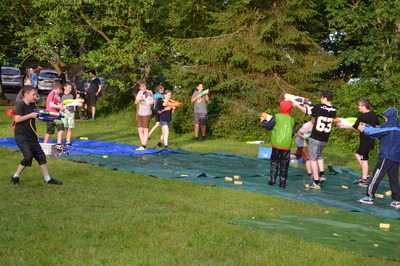 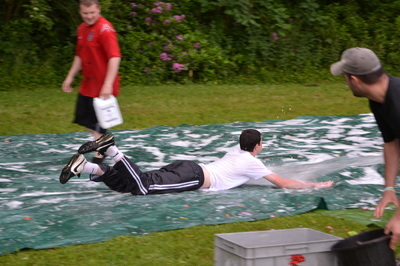 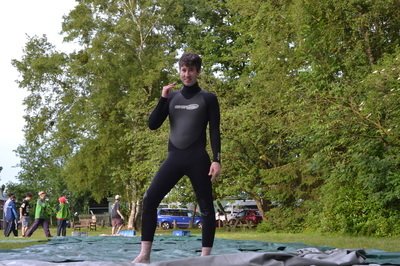 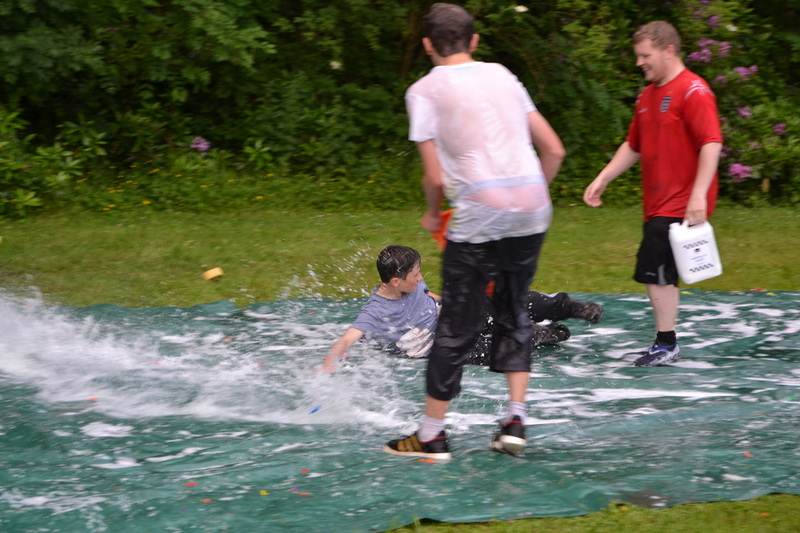 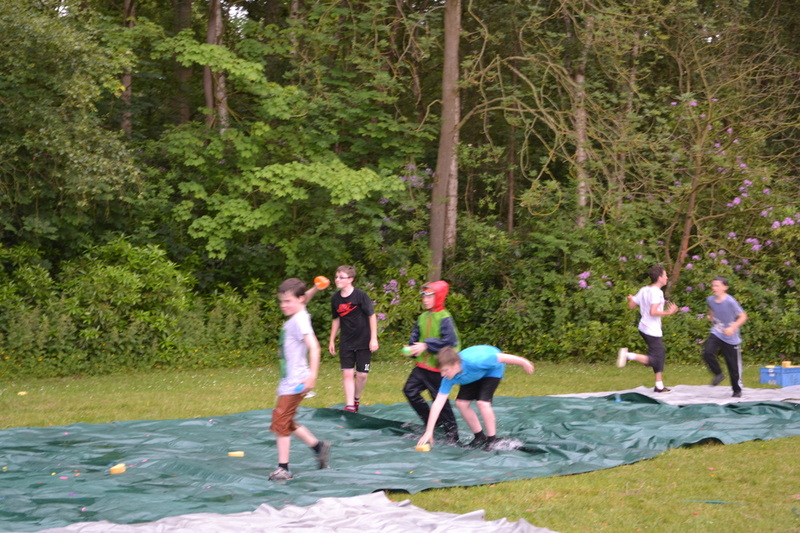 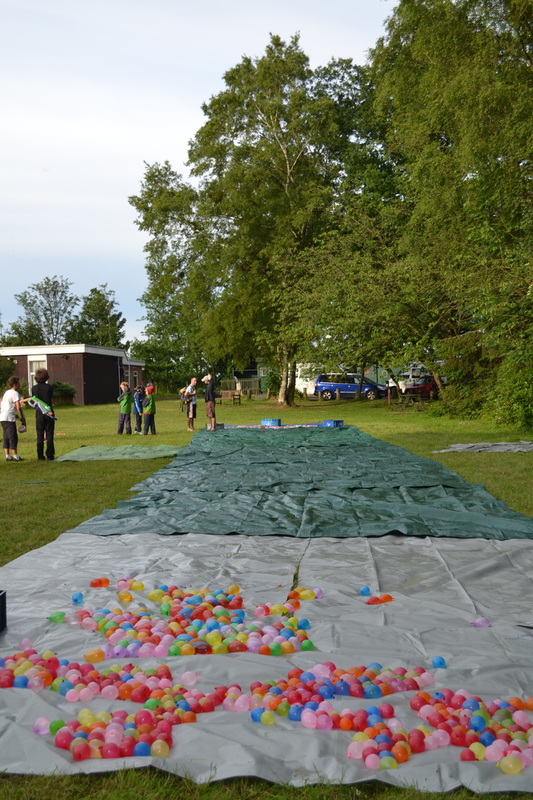 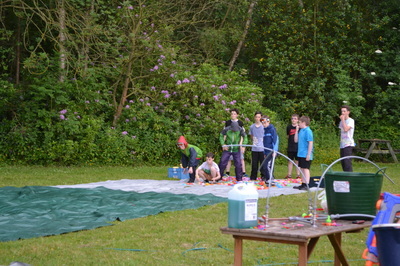 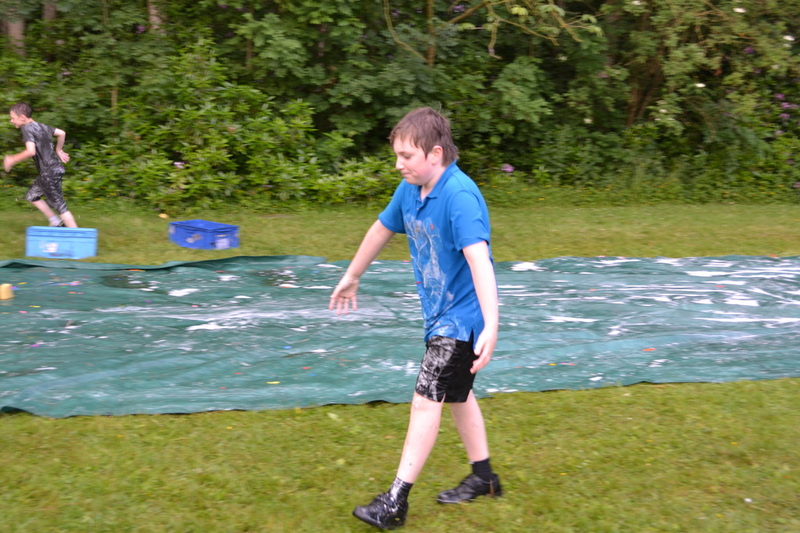 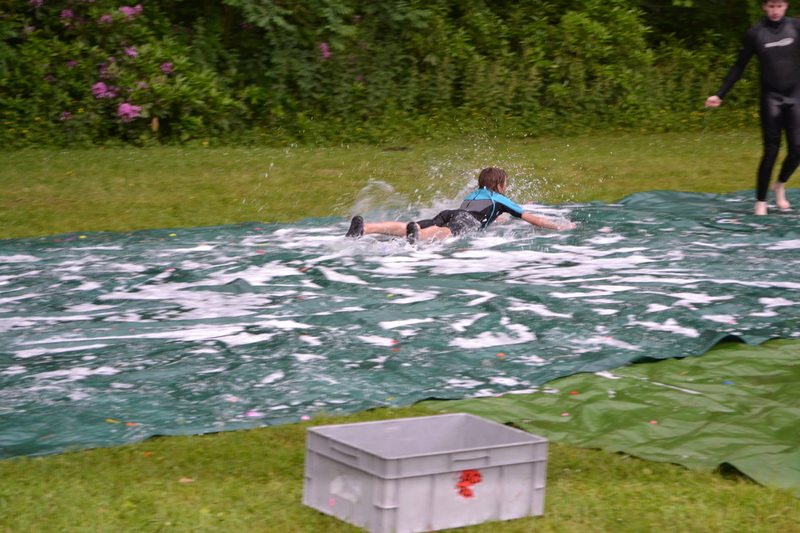 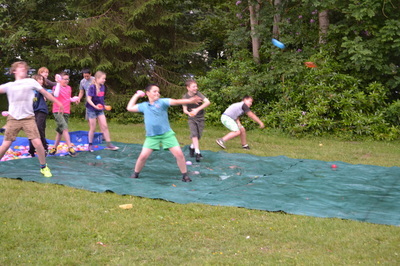 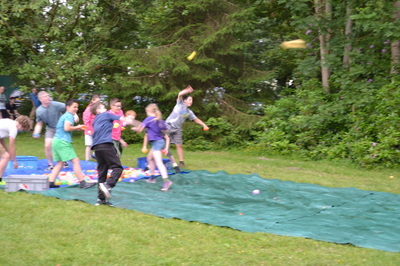 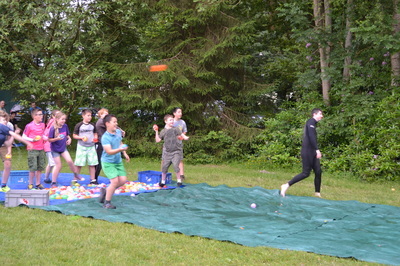 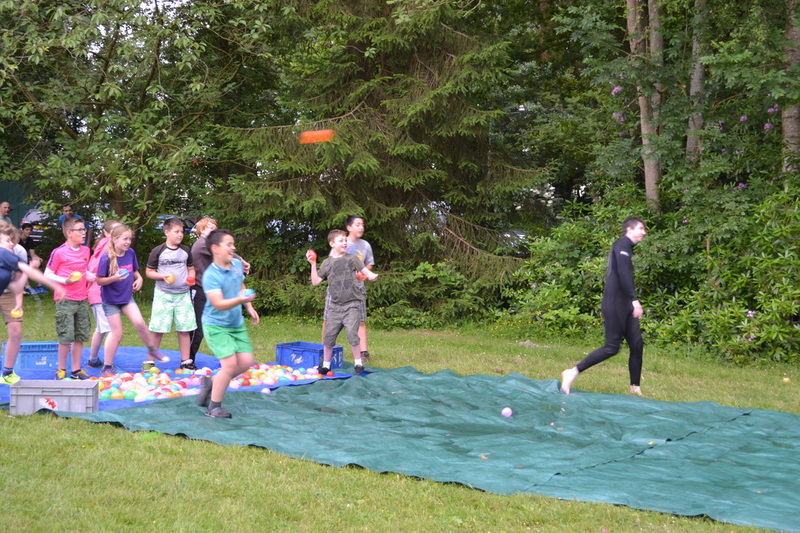 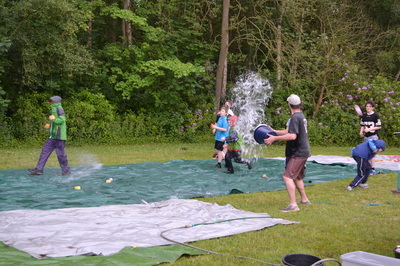 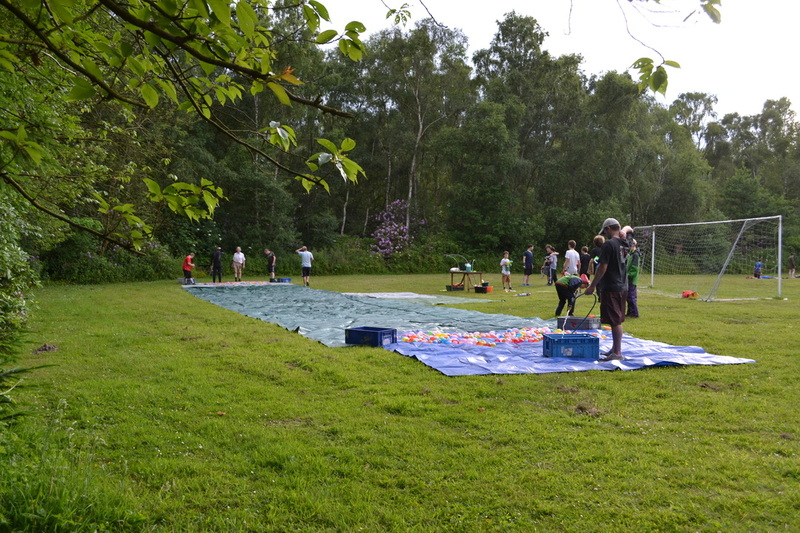 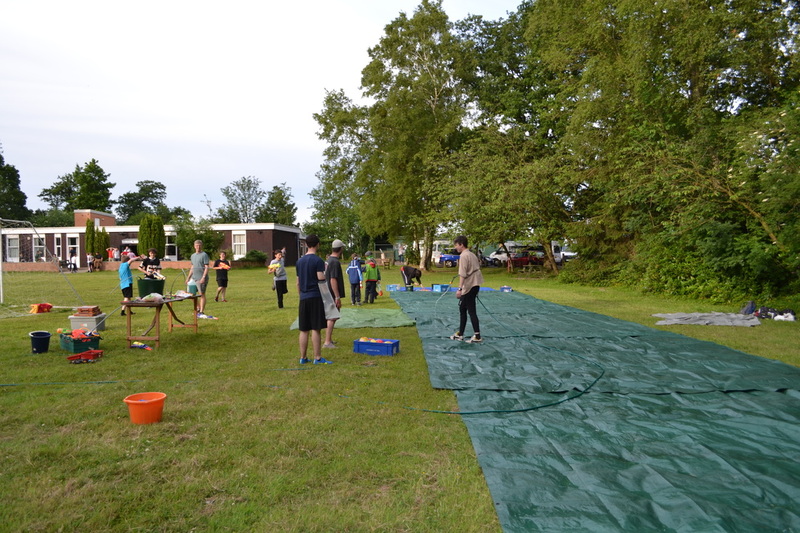 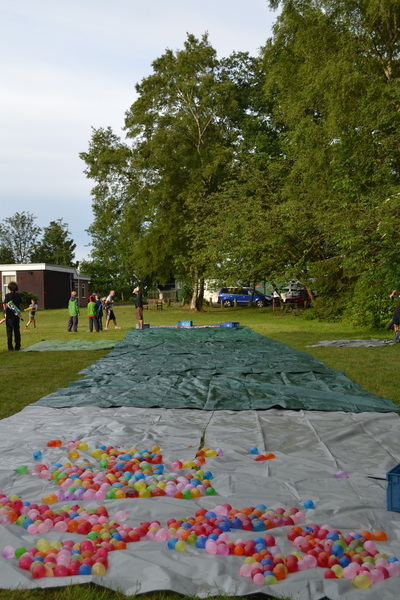 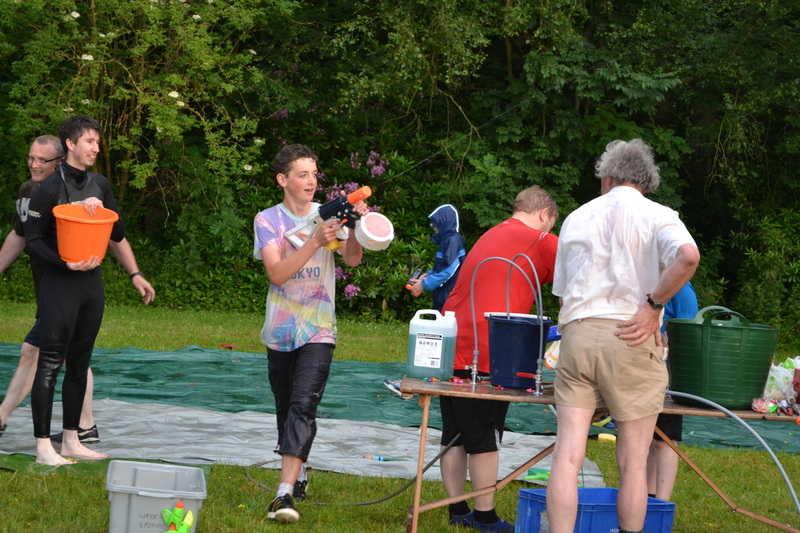 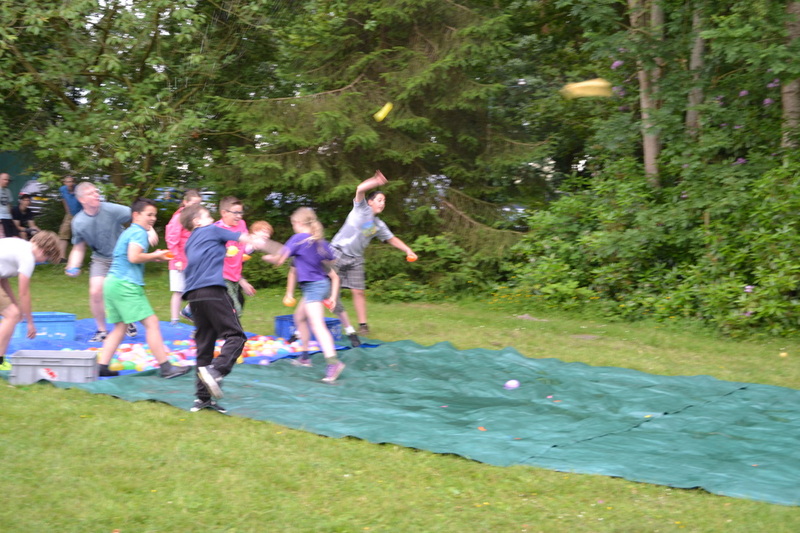 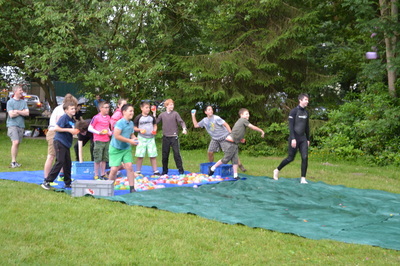 Water bomb battle followed by water gun fight followed by a soapy water slide all adds up to a very wet night.